The area of presumed intent in the designation of life insurance policies has long been a source of dispute and litigation. When a state legislature enacts statutes that address an automatic revocation of insurance beneficiary status under particular circumstances, additional litigation is likely to result. Such was the case in Sveen v. Melin, 138 S. Ct. 1815, 1817 (2018). There, a couple were married in 1997 and the following year the named insured designated his wife as the primary beneficiary under his life insurance policy, and his two children from a prior marriage as contingent beneficiaries. The couple divorced in 2007, and the divorce decree never addressed the disposition of the life insurance policy or the rights of the contingent beneficiaries. Upon the named insured's death in 2011, both the wife and the two children made competing claims for the entire proceeds. 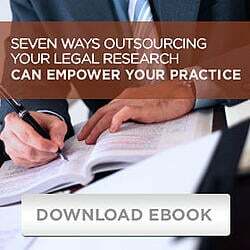 Most attorneys encounter situations in which a client does not pay the legal fees due and owing. There may, or may not, be a dispute over services rendered. Every state bar association has some form of fee dispute resolution program, yet some clients do not participate, leaving the attorney few options. At some point it becomes evident that the attorney-client relationship has terminated and the relationship with the prior client becomes adversarial in nature. The question thus arises: If the attorney pursues an action against the client to recover the fee, and obtains a judgement against a former client, may the attorney disclose confidential information obtained during the course of the representation while seeking to execute on that judgment? Model Rule 1.6(b) allows an attorney to disclose information to "establish a claim or defense on behalf of the lawyer in a controversy between the lawyer and the client; to establish a defense to a criminal charge or civil claim against the lawyer based upon conduct in which the client was involved; or to respond to allegations in any proceeding concerning the lawyer's representation of the client."